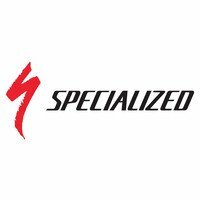 S-Works is Specialized-speak for zero-compromise, genuine professional quality bicycle design, engineering and spec. This means that this super-lightweight S-Works FACT 11r frame comes supplied with the following high-end equipment. Roval CLX 64 Disc carbon rimmed wheels which are 64mm in depth and have CeramicSpeed bearings making these light, stiff, aero and fast rolling - These are also the fastest wheels Specialized have ever tested! Shimano Dura-Ace Di2 - Shimano's ultimate, precise and instantaneous drivetrain! THINKING OF BUILDING YOUR OWN S-WORKS VENGE? This S-Works Venge is also available to buy as a Frameset so you can spec this ultimate FACT 11r Carbon frame to suit you! Not sure where to start with a custom build? Contact us directly and we can go through making the dream a reality! The BB (Bottom Bracket) and chainstays are moulded together creating a single unit rather than bonded together after moulding. This results in a super-strong and stiff seamless unit from the BB to the dropouts. This one-piece design resists deflection under extreme pedal loads for improved power transfer. 'We aren't satisfied with second fastest. Hell, why do you think we have our own Win Tunnel and the motto, "Aero is Everything?" We live and breathe aero, because we know that aerodynamic optimization is the best thing we can do to make you faster. And this philosophy has never been truer than with the new Venge. Being eight seconds faster than the ViAS, it’s not only the most aerodynamic bike on the road, but it’s also lost 460 grams. This is the new shape of speed.